Unless you are running a farm there is really no need for an excessive amount of grass. Are you spending a lot of time and money on your lawn? You can now stop. Green lawns are nice to look at but they waste a lot of water, fertilizer, and gas taking care of them. They also waste your precious time. 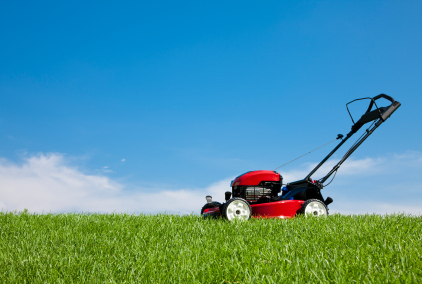 In the United States alone 80 million galls of gas are used for lawn mowers. This accounts for 5 percent of greenhouse gas emission. There are lawn alternatives that will reduce the time and money spent on your grass. You can still have a great looking yard with less time and money spent on it. A perennial ground cover uses less water, less maintenance, and there is no mowing involved. At a popular lawn cover is the microclover. This will grow fast and looks great. Hardy perennials including dwarf dogwood, alyssum, verbena, contoneaster, and sweet woodruff and great choices. You can plant herbs in this grass including thyme, chamomile, oregano, and juniper to make it smell nice and give it a lush green look. If you want a lawn then you can reduce the amount of grass you have. Adding garden paths and beds with shrubs will look nice and there will be less to take care of. Garden paths can be made from just about any material. Stepping stones, wood, and pebbles look great and are inexpensive. You can make your own stepping stones to save even more money. Garden pounds look great and can be eco friendly . Solar powered pumps can be used with these ponds. They will look great and you will not even miss the grass and the maintenance. A fire pit can be made from gravel and pebbles. Put some seat around the pit and enjoy. You can relax at night by the fire. Popular movements are turning to vegetables. People are getting rid of their lawns and planting vegetables gardens. Be sure to check with local ordinances if you plan on turning your front yard into a garden. Be sure this is allowed. Vegetable gardens are easy to maintain and they produce a great deal of vegetables and fruits. Do not use artificial fertilizers, there are many organic alternatives. If you add some decorative flowers your garden can look great. Marigolds can also keep the bugs away. You can make friends with your neighbors by offering them some of the things you grow. If you still want a lawn there are some eco friendly ways in which you can take care of it. You can make your own compost. You will not need to use fertilizers and your lawn will look health. Wait until the grass gets a little higher to move it. This will help the lawn stay hydrated. Instead of using a lawn mower that is gas powered look for one that runs on solar power or that is electric.